The holiday season is a joyous time of year spent with friends and family, giving gifts and celebrating the year’s end. But what if you went to cook your holiday meal for your family and your oven broke? Scary thought, huh? Well this is certainly a possibility and really makes you think about certain household items and other innovations that we take for granted but truly do make our holiday traditions possible. 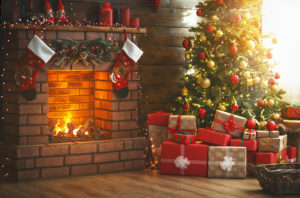 To highlight some examples, Tristar Inc. reviews the history behind several innovations that are crucial during the holiday season. Microwave: We already touched upon the importance of ovens during the holiday season, but how about the microwave? After all, how are you going to heat up the majority of your sides and all of your leftovers? Believe it or not, microwaves were invented by accident. A self-taught engineer from Maine named Percy Spencer was working his job at Raytheon and messing around with radar. He noticed that the chocolate bar in his pocket began to melt, signaling the power and cooking capabilities of microwave radiation. The first commercial microwaves hit stores in 1947, but they were oversized and overpriced. It wasn’t until 20 years later that Amana introduced a reasonably priced model that could fit on top of the average counter. Refrigeration: Did you know that ice for preserving food was something that used to be harvested? That’s right. Until shortly after World War I, ice pounds in the winter used to be harvested for their ice, which was then stored in ice houses throughout the year. What’s even crazier is that sometimes this ice would be shipped as far as from New England all the way to India or Australia. At its peak, the ice harvesting industry produced 24 million tons of ice, employed 90,000 people and utilized 25,000 horses. But once the refrigerator entered the home in the 1920s, it was game over for the ice harvesting industry. These useful appliances have led to safer food preservation and cleaner ice. During the holidays they will be used to store the mass amounts of food you intend to make or save as leftovers. Long-Distance Travel/Communication: If we couldn’t travel long distances to see friends and family over the holiday season, there probably wouldn’t be as many people who move away from home. But thanks to the Wright brothers and the invention of airplanes, you can travel across the country in less than five hours. And if you’re unable to catch a flight home for whatever reason, software such as Skype and other similar programs give you the capability to video chat with loved ones, even from across the world! Tristar Inc. reviews all kinds of inventions and innovations that have major impact on our lives. Be sure to check back with our blog frequently to see all of the latest Tristar Inc. reviews.